There has been massive outrage in the student community and youth against the National Democratic Alliance government, as witnessed in campus protests across the country, including some that joined hands with other causes. With the general election approaching, we interviewed representatives from the student wings of several opposition parties, on the government’s policies for higher education. The present government wants nothing to do with improving education policy. The way it has continuously reduced budget allocations for education, is a clearcut indication of its agenda of vulgar privatisation. It has expertise only in commercialising and communalising the education system. It’s a travesty of the system. One of the most pampered universities like JNU suffers from seat and library fund cuts, and is spending much more on security. The state of primary, secondary and higher education is miserable. And we have been compelled to come to this stage in a very well planned manner. They have destroyed the backbone of institutions with the ad-hoc faculty system. And this year we saw the murder of reservation, when they brought in the 13-point roster system in the appointment of university teachers. Students from ST, SC and OBC communities have been thrown out, violating the provisions of reservation. The Constitution mandates that the state should find a way to implement reservation, at every level, by every possible means. But this socially and politically fascist government and its administrations in central universities have taken every measure to push the marginalised sections to the extreme margin. All these things will affect the psyche of unemployed youth voters, especially those from oppressed communities. And the current regime will have to pay the price. The student community has repeatedly raised its voice against the Modi government and its new education policies. The centre’s education budget has been in decline – this year too it dropped 0.47% in nominal terms. This has had a direct effect on the student community. There are no funds for distributing scholarships, and no permanent appointments are taking place. On one hand there are no funds for public universities, on the other, Jio University which doesn’t yet exist is getting funds worth crores. The government wants us to stop thinking. 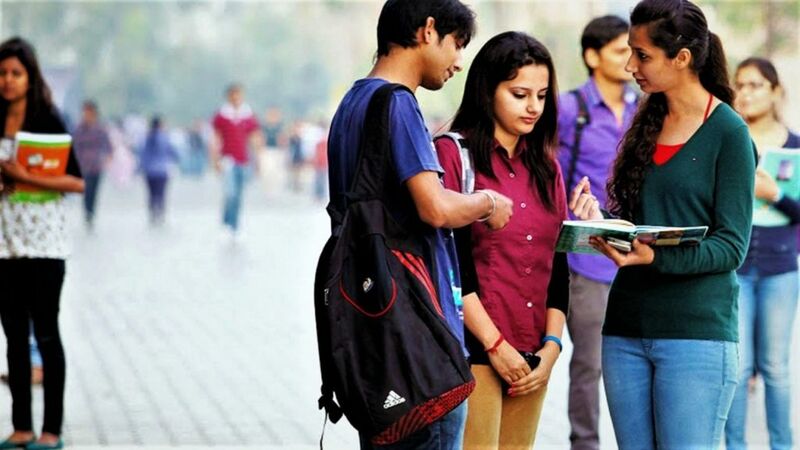 It has been trying to communalise campuses, by replacing historical study with ideology. Over half of India’s people are less than 25 years old – but instead of creating jobs there have been layoffs in large numbers. We want to create a united platform for all universities. We will fight back to make sure that Modi doesn’t return to power in 2019. The Modi government has failed to ensure quality education in this country. We have seen massive fund cuts in the education sector, the dismantling of reservation, attacks on students and teachers for criticising Modi or the government, and the saffronisation of higher education. When the government came to power we saw a massive and systematic attack on the Ambedkar-Periyar study circle at IIT Madras, on the Film and Television Institute of India, on Hyderabad Central University, the Jawaharlal Nehru University and others. Such targeting of campuses is unprecedented. There has also been rampant privatisation, making a university education unaffordable. The students and youth of this country are very angry. They will vote against the Modi government. We are organising a Chhatra Yuva Adhikar March (March for the Rights of Students and Youth) before the general election, to take forward the campaign against this government. We will expose the Modi government’s anti-students and anti-youth policies. Firstly, there has been a massive decrease in the education budget of the government – this is the prime root of all the problems that have arisen for students. Then, with the help of the roster system the government was able to find a loophole in the reservation mandate, and hence in our country’s Constitution. Even if students protest peacefully against any policy they face legal cases and physical attacks. Over 125 student leaders of the SCS have been arrested. At Lucknow University when students showed black flags to Yogi Adityanath against the misuse of college funds, around 26 of them were taken into police custody. Given current circumstances, the BJP might face a big defeat in the 2019 elections. The only agenda of the Modi government is to privatise the entire education system. Budget cuts in higher education have been observed across the nation, as well as seat cuts across universities, not only for students but also teachers, which is unacceptable. A major problem students have been facing for the first time is repeated exam paper leaks, from CBSE to SSC to FCI. This is condemnable. For the first time in India even school students have come out in protest against the government.